On December 24th, 25th, 31st and January 1st the museum is closed. 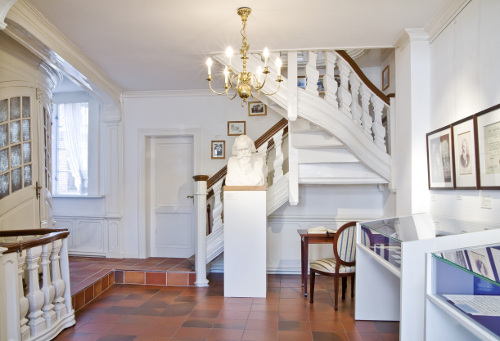 Since 1971, the Johannes Brahms Museum has been situated in the Neustadt (New Town) district of Hamburg in a historical building dating from 1751. It is not far from Speckstrasse, where the birthplace of the composer and honorary citizen of Hamburg used to stand before it was destroyed by allied bombing in 1943. 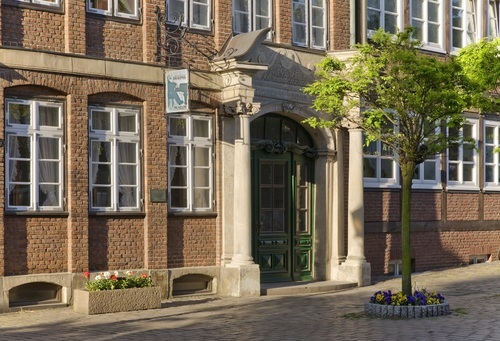 It is looked after and administered by the Hamburg Johannes Brahms Society, founded in 1969. It's rooms cover two stories which were made available by the Carl Toepfer Foundation. The museum houses a comprehensive photo documentation, a facsimile editions of Brahms' handwritten manuscripts and letters, some of his personal effects, busts of the composer, a reference library with over 300 books and the volumes of the new complete edition of Brahms works published by the G. Henle Publishing House. There is also a square piano (tafelklavier) made in 1848, as well as a collection of recordings of all of Brahms' works. Special exhibitions as well as concerts and lectures in the Carl Toepfer Foundations Lichtwark Hall, situated only a few steps away, are an additional part of what the museum has to offer.